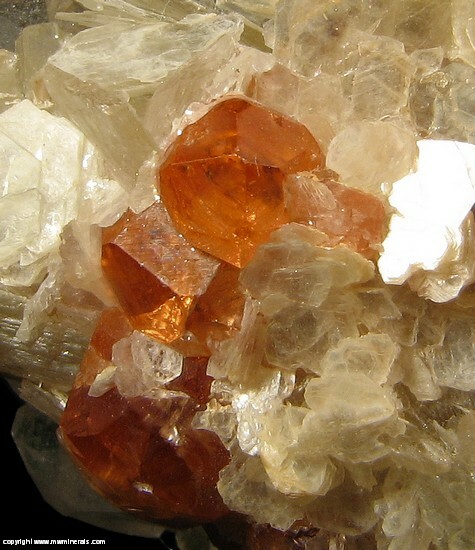 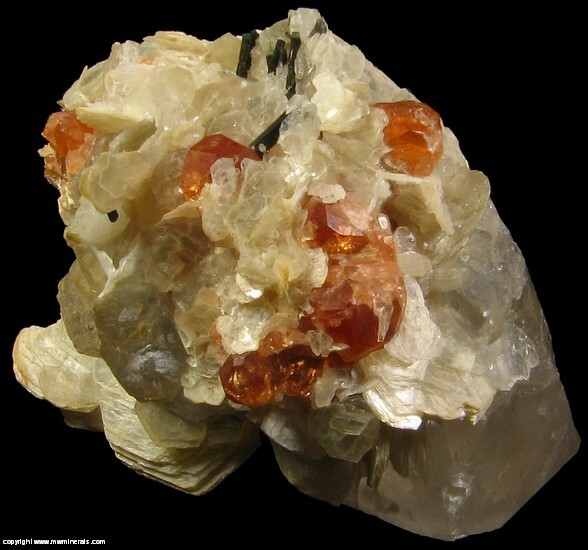 Bright orange colored Spessartine garnets are scattered on the top this specimen. 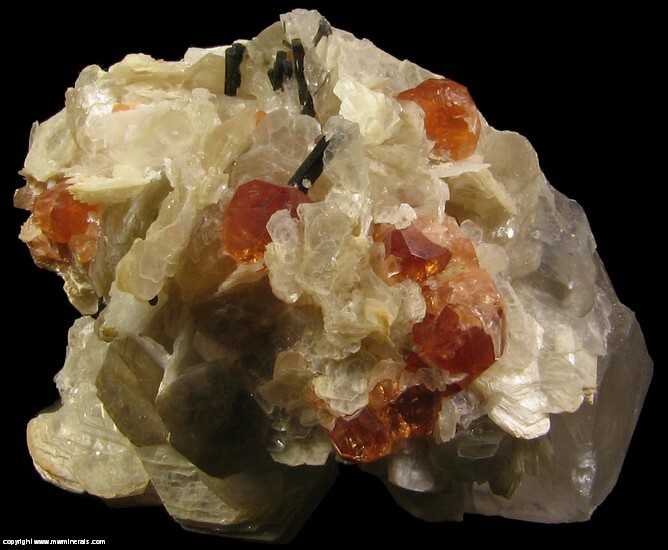 The garnets have a high luster and are gemmy.The garnets are perched on Muscovite crystals which are on a Quartz crystal. 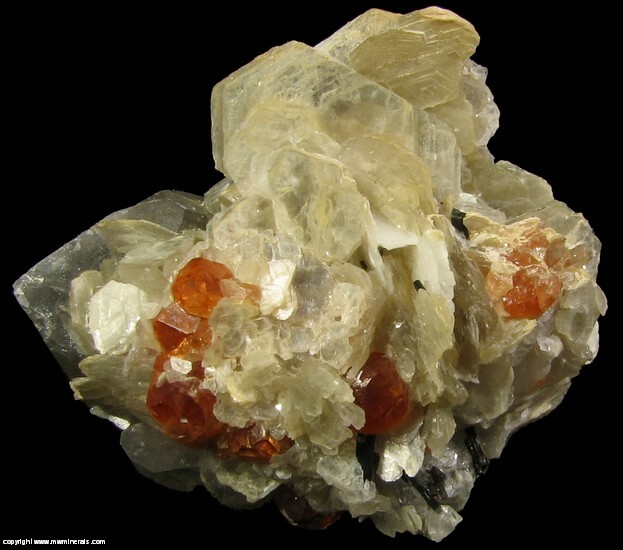 There are also small black Tourmaline crystals mixed in with the Muscovite in places. 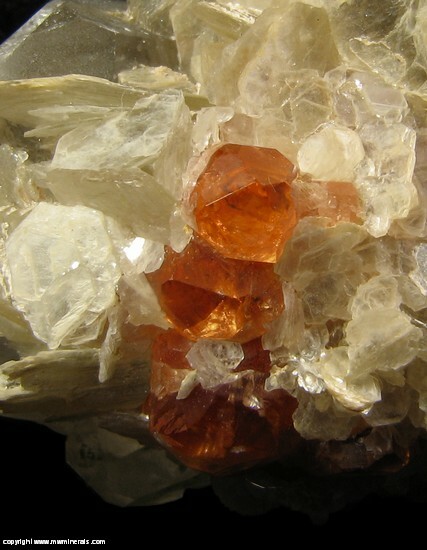 The specimen is in fairly good condition. 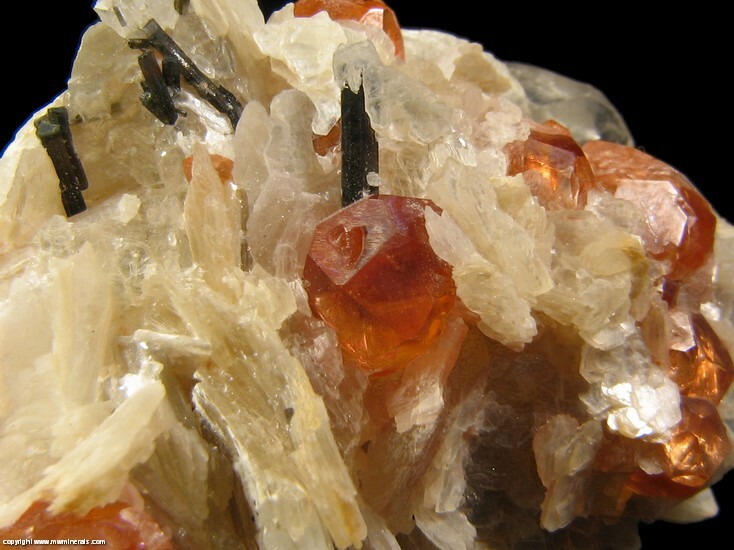 Some of the garnets are in excellent condition and some of the others have internal cleavages which detracts from their appearance.